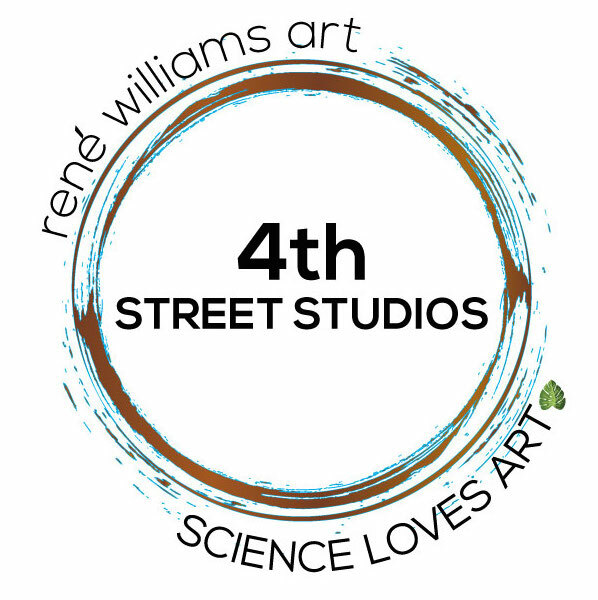 A working artist studio and home of René Williams Art and Science Loves Art. Art and science exhibitions, collaborations, workshops, events and a place for community. Want to make art?? Click this link to register. This artist working studio is open to the public and you are invited! Who are these people making all those changes at that old house and barn? The neighbors are stopping by and give us encouragement as we slowly breathe life into this property. Creating a space for the community for art, science, events and hosting at the 4th Street Studios has been a dream of ours for… Continue reading Who are we?